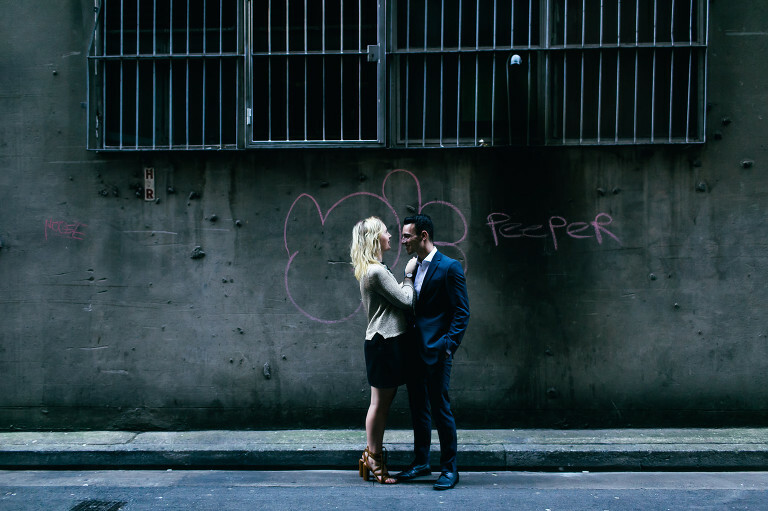 There’s something wonderful and moody about capturing the love between two people in an alleyway. 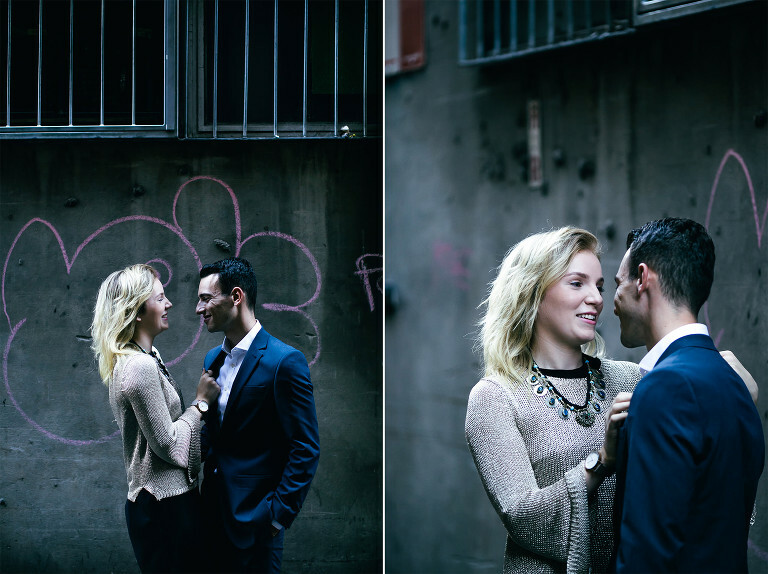 And then that get’s turned up a notch when that alleyway becomes the place where you got engaged. 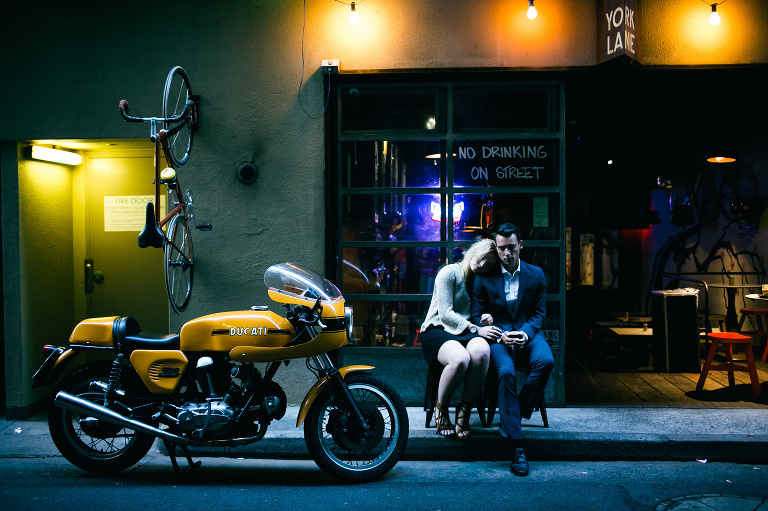 Jessica and Peter decided they wanted to celebrate their engagement along the alleyway that led up to York Lane Cafe, where Peter got down on one knee and asked his partner in life to spend the rest of their days together. 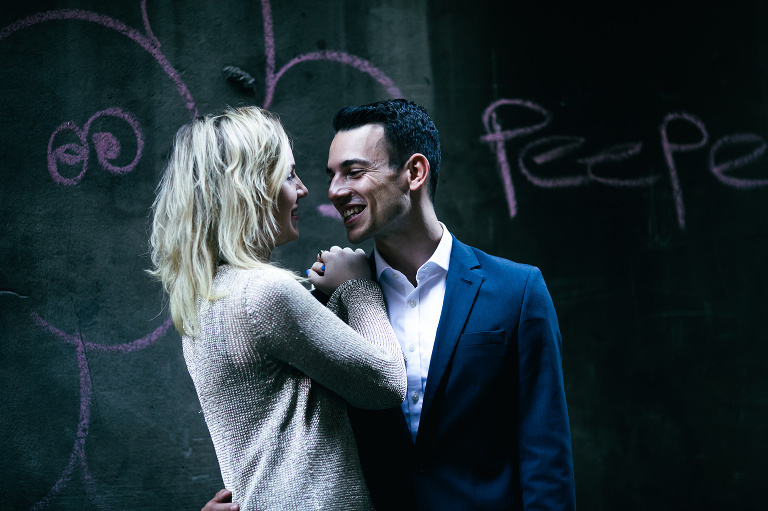 Sometimes, all you need is a little low light to set the mood, two souls that love and cherish each other dearly and some giggles in between…oh, and some random tradies working in the building opposite. We feel pretty blessed to cross paths with the people we do, and these two cool cats are up there. Roll on to their wedding celebration at Collits Inn towards the end of the year…I cannot wait to see what magic they both create.